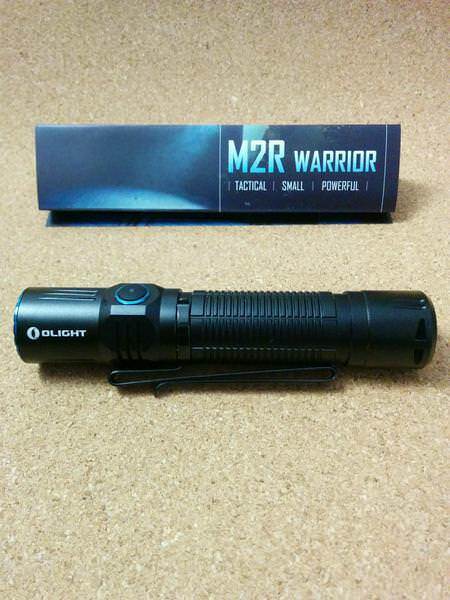 This is my review of the Olight M2R Warrior flashlight! 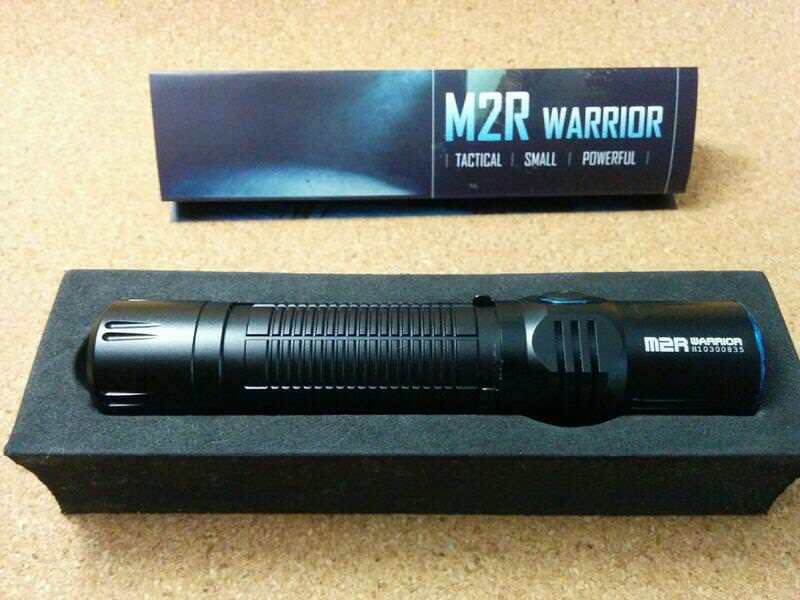 This light was won in a GAW from member OutdoorsIQ. 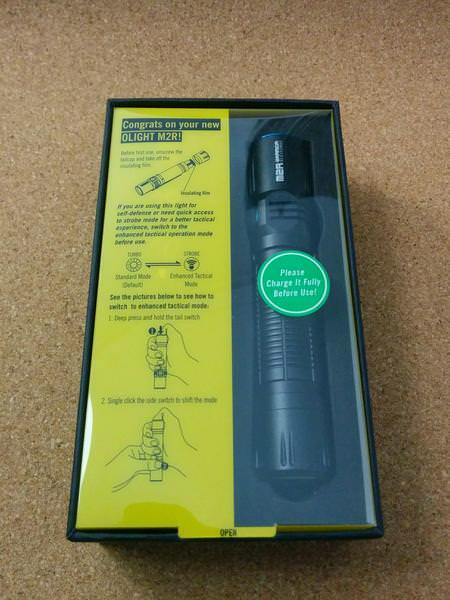 After this “short” list where you can find some information, my words about this flashlight! 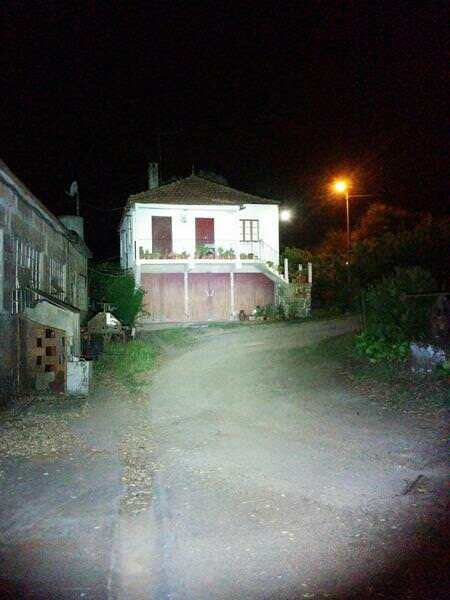 - This light is also sold with Cold White emitter. First, the construction quality, immaculate in all aspects, from top to bottom, form, ergonomics, anodizing and the feel when touching/holding it! 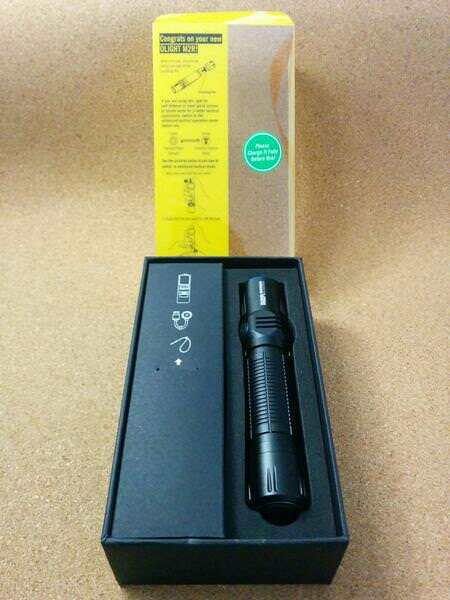 On the head we find the brand and model of the flashlight written in white! There are also some fins/grooves to help improving heat dissipation (and for style )! The tube has rectangular knurling that improved gripping. None of these are aggressive and are actually quite soft, specially due to the awesome anodizing! 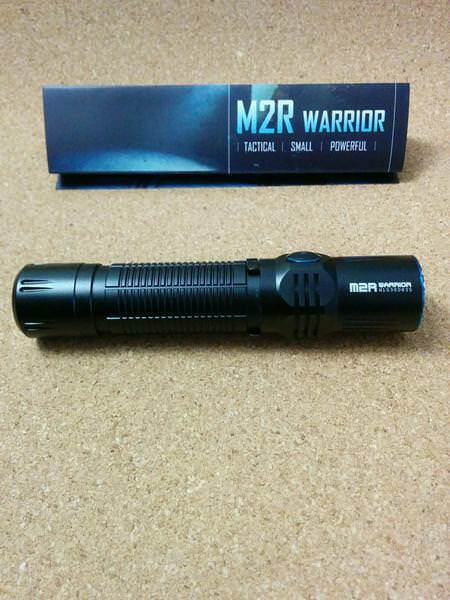 Anodizing is well done, more brilliant than matte; even when turning the pocket clip it doesn’t get scratched. The bezel (not necessarily tactical but with some grooves!!!) 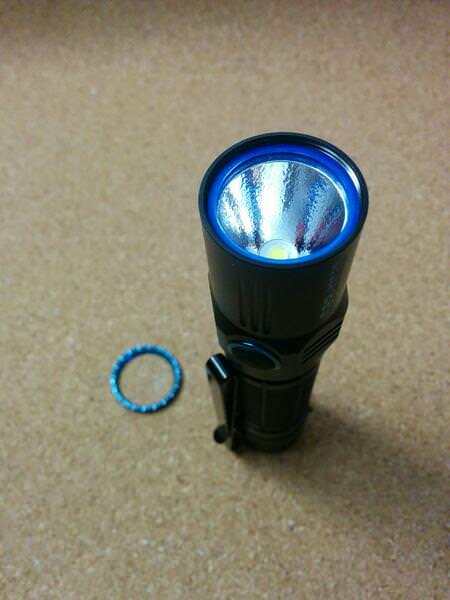 can be removed and under it we find a blue “kind of” o-ring. 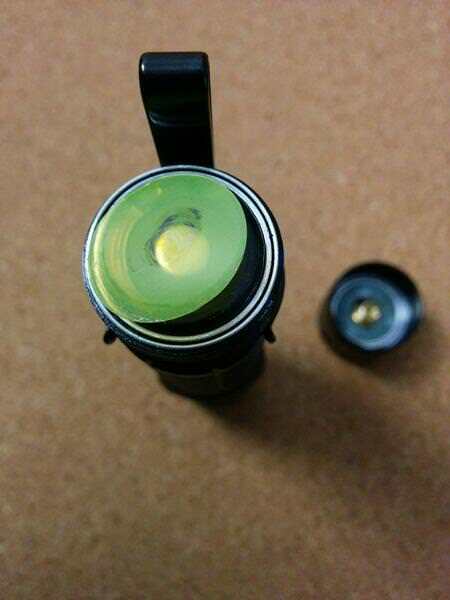 But this is not an ordinary o-ring, it hold the lens on its edges, too. I didn’t took it out to avoid damage. 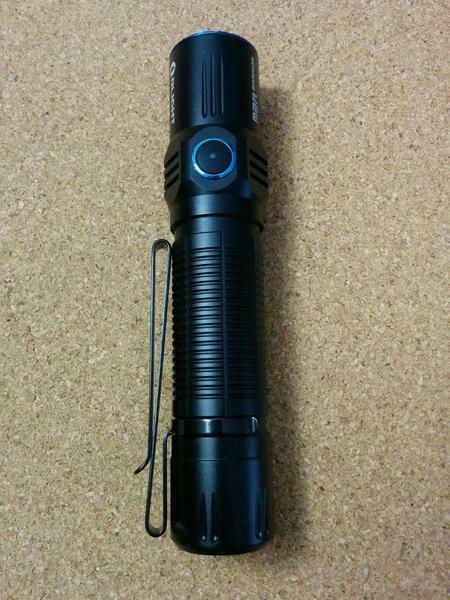 However, unlike the S1R Baton, it is probably easier to mod this emitter than in other Olight flashlights. 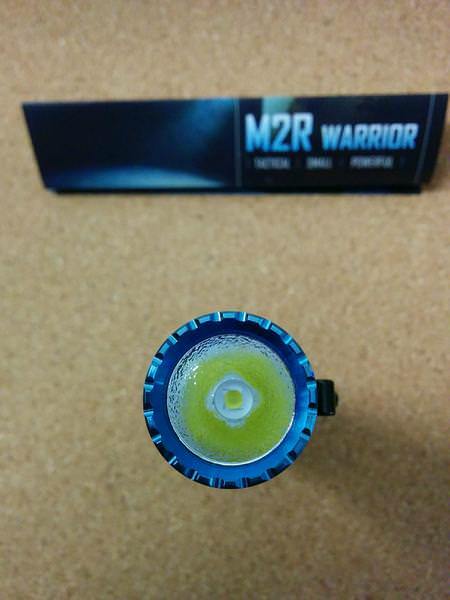 There is a white gasket around the emitter and the LED is well centred. 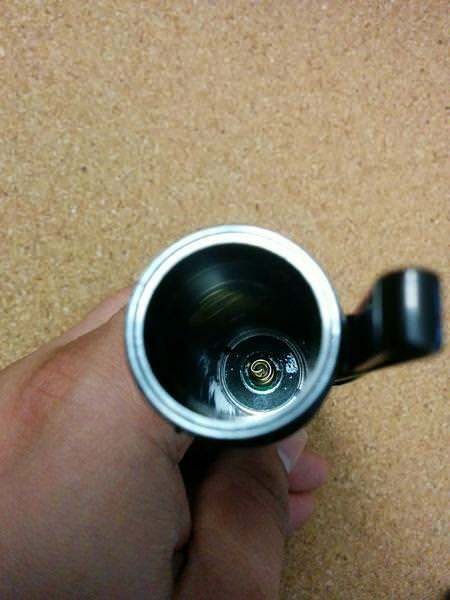 The Lens is AR coated glass! 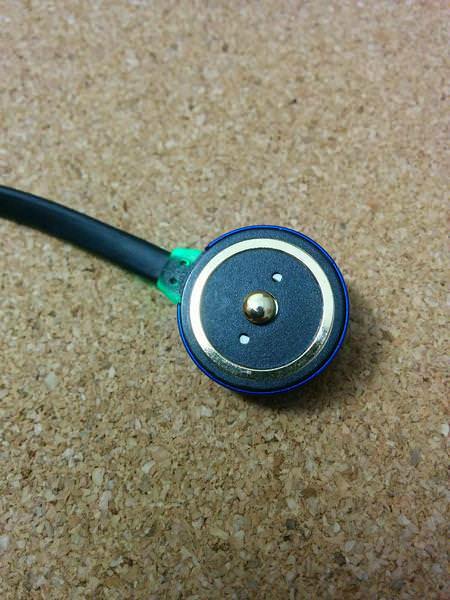 It is easy to identify the side switch button due to the rubber button with a small tip on the top. 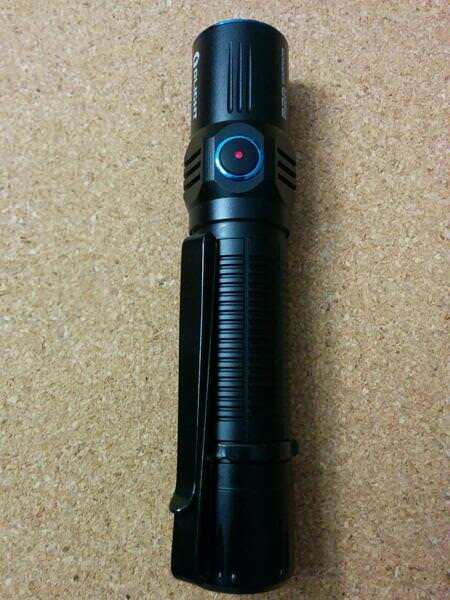 The button will be RED when the flashlight is locked (see USER INTERFACE). 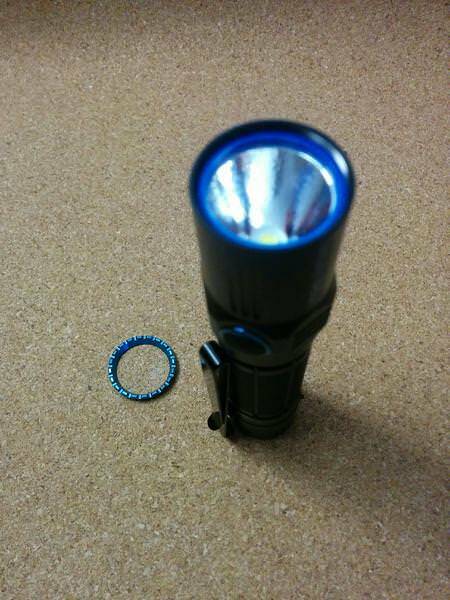 The “entrails” of this flashlight are not easily accessible, as the tube and head are glued. 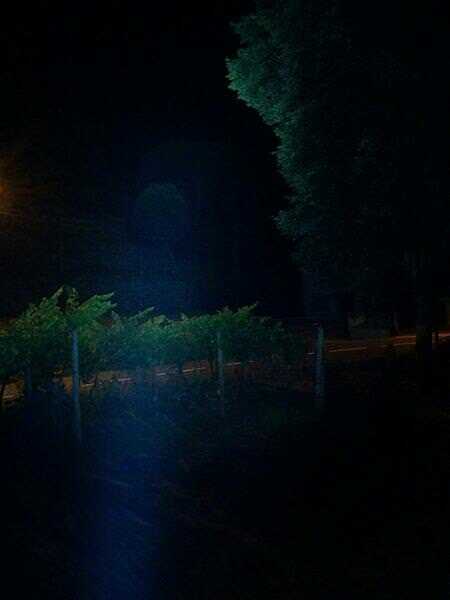 Therefore, we can only see the bottom of the driver, namely the disc with “-“ engraved and the spring. 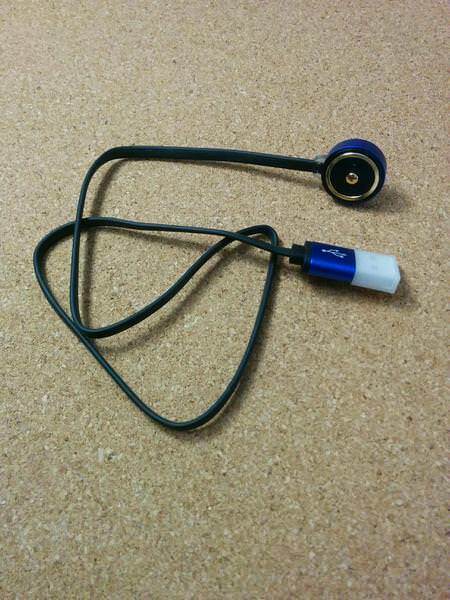 It can also be seen that there is a inner tube to – I presume – make the charging process happen! And downwards we reach the Tail! 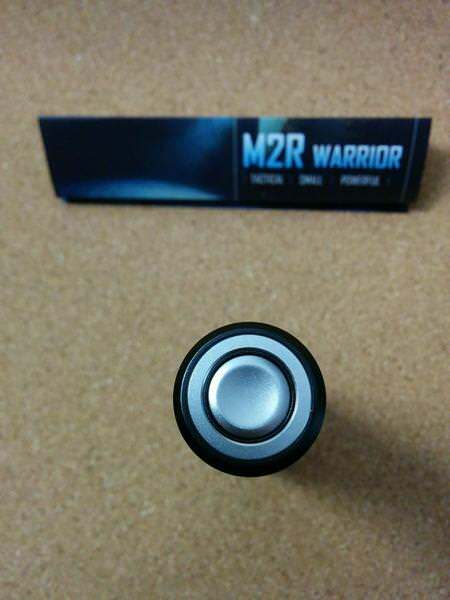 The tail button is metal, it is surrounded but a “magnetic ring” through which the charging cable will couple the flashlight. 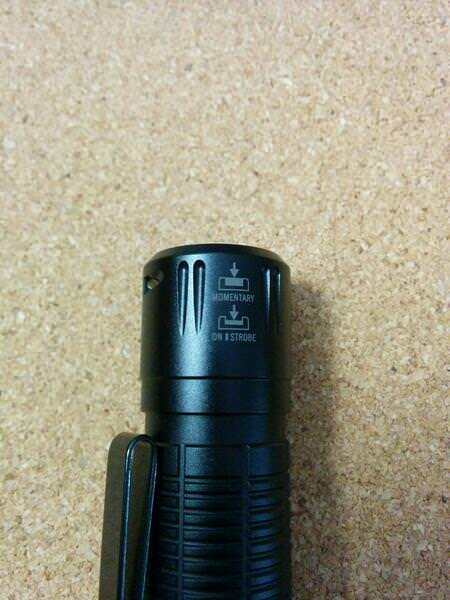 The Tail switch has 2 levels, as indicate in the images engraved in the tailcap. 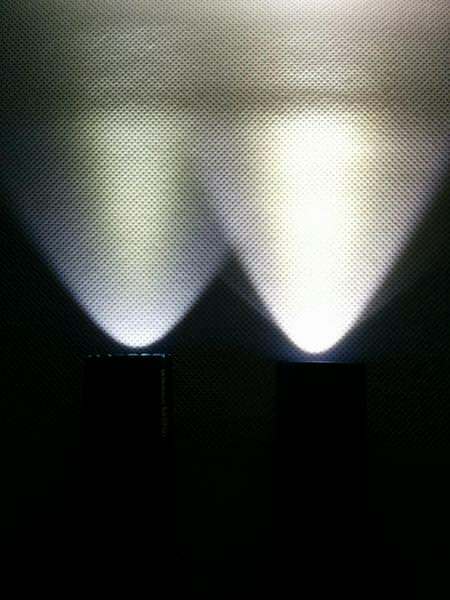 A soft press (level 1) activates momentary Turbo; a deeper press will activate momentary Strobe or continuous Turbo, depending on the chosen configuration (see USER INTERFACE). The magnetic ring holds well when the light is placed vertically, but not so much when it is on the horizontal position. 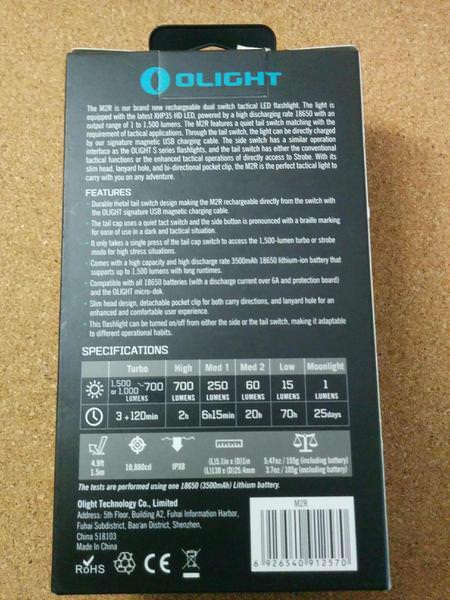 It has too much weight when the battery is inside and will no hold so well. More than that, the threads are square and well lubricated and there is a sealing o-ring on the end of the battery tube (that enters the tail). The battery was covered with a yellow plastic to protect from drain during the trip. So, what we got as accessories? 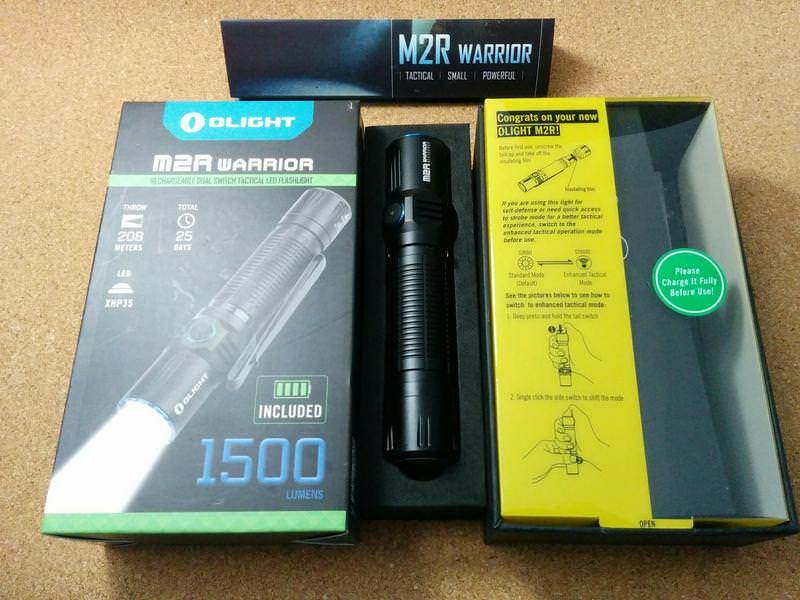 Well: 1 Olight 3.6V 3500mAh 18650 High Discharge Current battery; 1 Pocket clip (already attached to the M2R Warrior); 1 Lanyard; 1 Holster; 1 Magnetic Charging Cable (Olight proprietary cable). 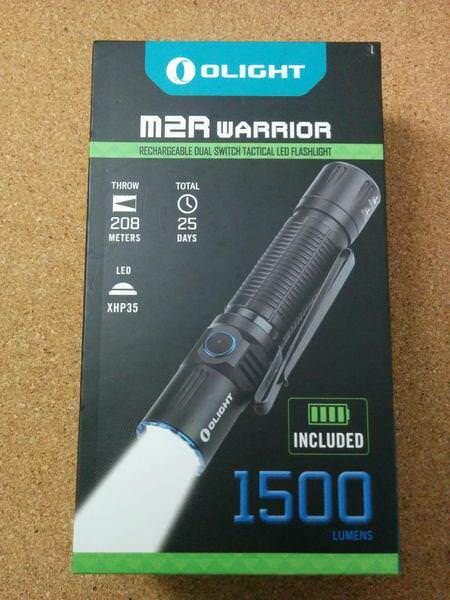 There is also a User Manual and an Olight brochure! 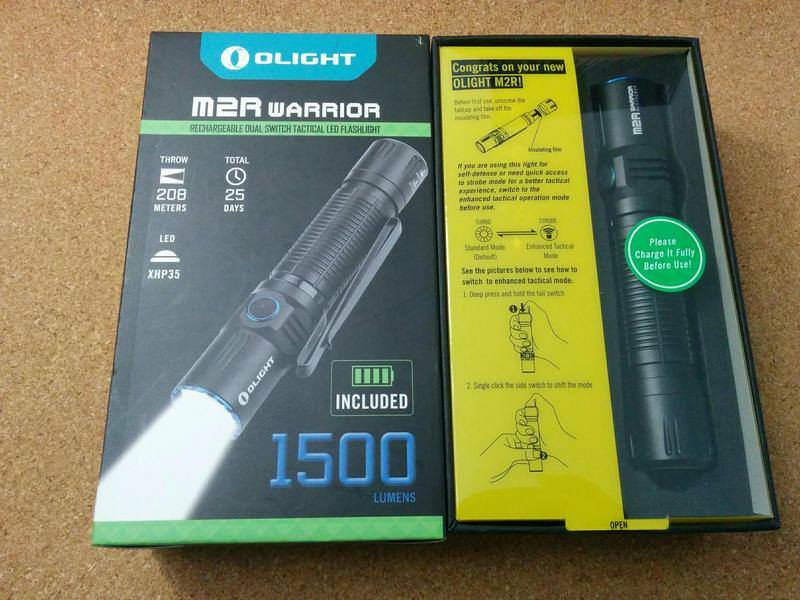 The User Manual has information in 18 languages (curiously, or not, Portuguese is not included), and has the information about specifications, operation and functioning of the Olight M2R Warrior! 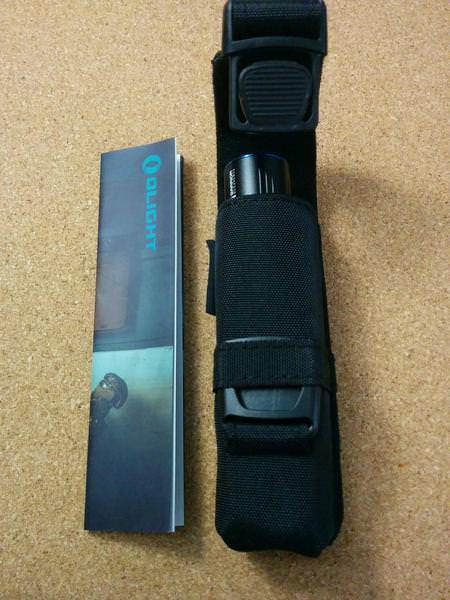 The Holster is quite good, allows the flashlight to fit correctly (tail down, head up fits better! 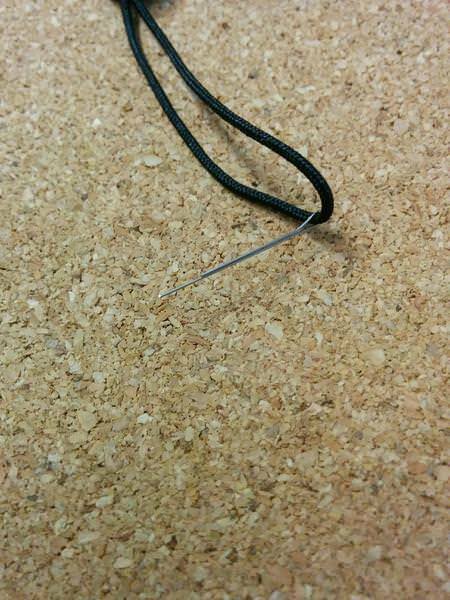 ), and has the possibility to be put on a belt or hanged in a backpack! 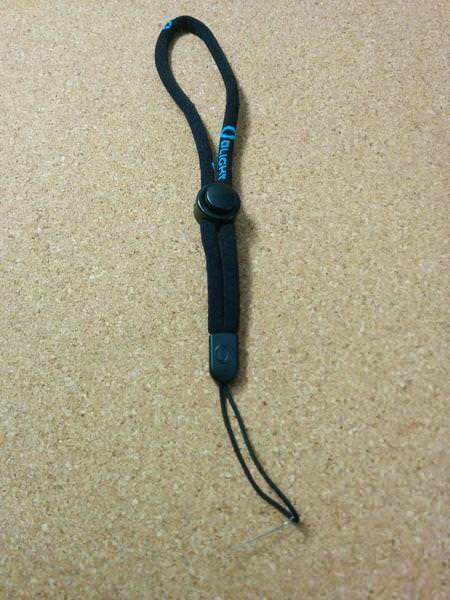 And the Magnetic Charging Cable is similar to the ones used in other flashlights of the Olight S series, at least on the S1R Baton. 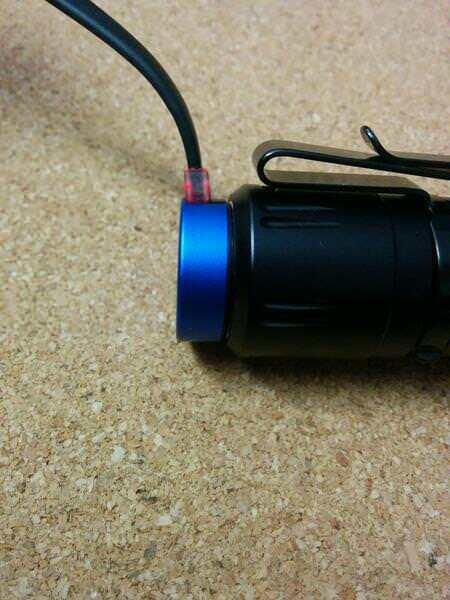 The cable is about 52cm long, has a USB tip that can be plugged into a USB port (power bank, computer, adapter, a powerbank flashlight…) and the other tip is the magnetic round tip that sticks to the bottom of the flashlight. 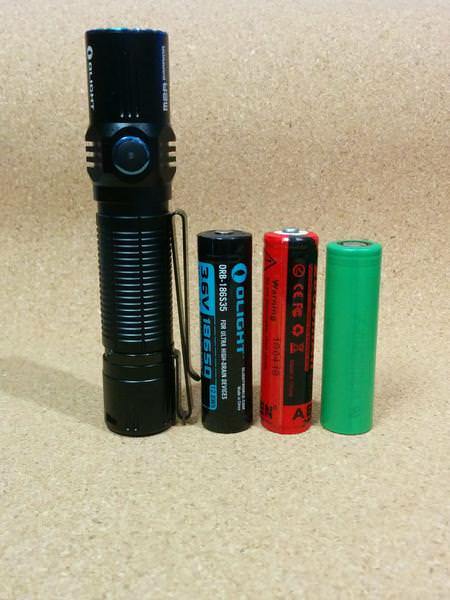 When charging, the indicator is RED, and when it is not charging (due to incorrect placement of batteries inside the flashlight or other) or has already charged the battery, it turns GREEN! 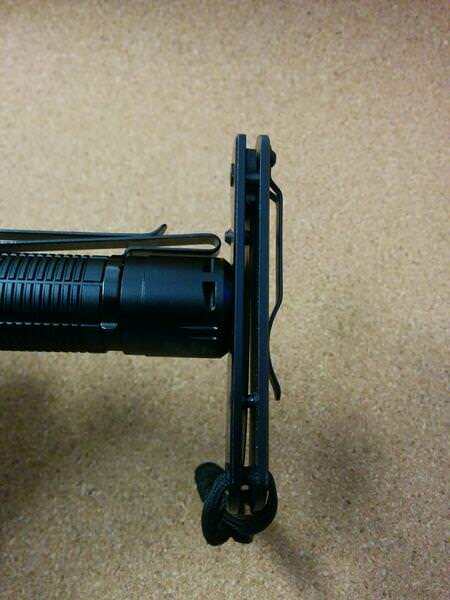 For the Pocket Clip …Well, I like it a lot! If we analyse correctly, we can use it in 4 different positions! 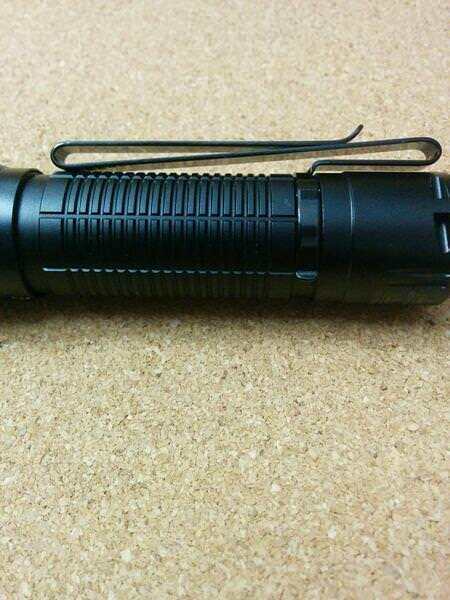 It is a 2-way clip and can also be reversed as there are 2 grooves on the flashlight, one near the head, and other near the tail to allow using it as deep pocket clip. 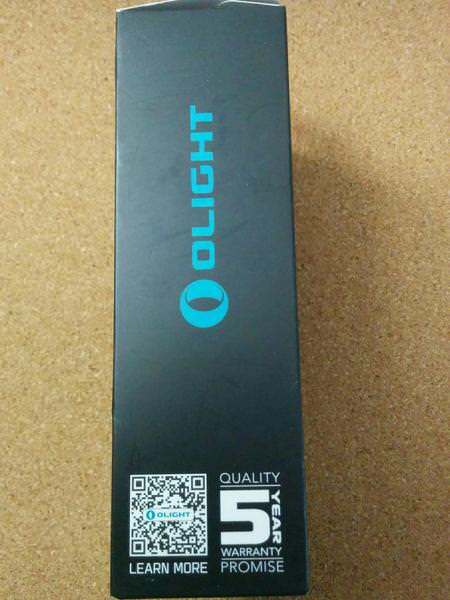 I will not go much through the Olight 3.6V 3500mAh 18650 High Discharge Current battery that is included. 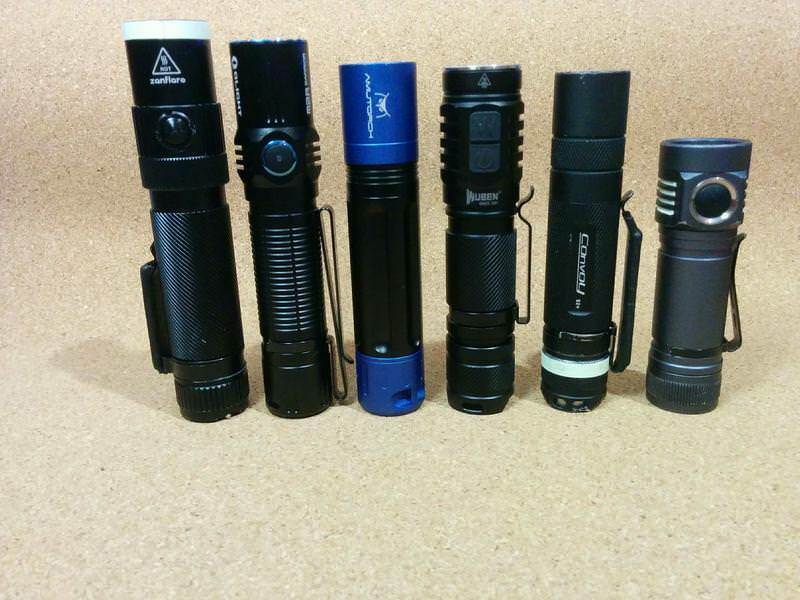 First, I have to say that the modes of this flashlight are well spaced and adequate to different levels of need in terms of luminosity! To configure any of these option and to alternate between both, deep press the tail switch and click the side switch. If you are in Option 1 it will turn to Option 2 and vice-versa. 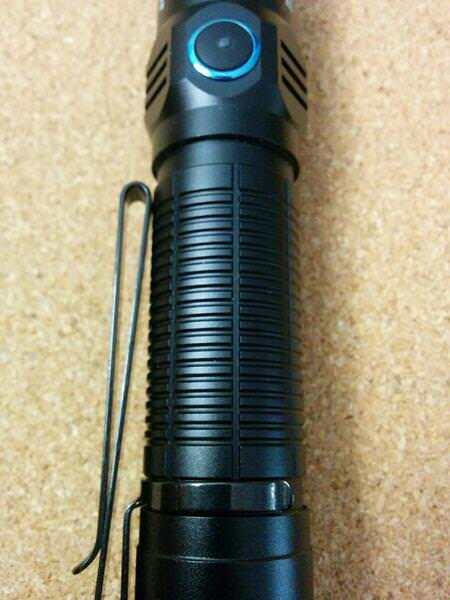 This is the way flashlight operates and it is quite intuitive once you get to use it some time! 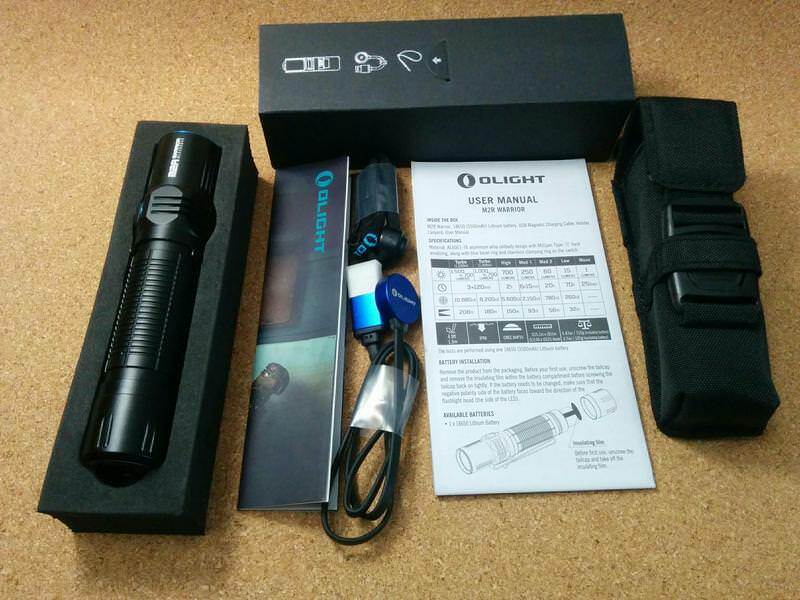 Summing it up we have: quick access to Moonlight; quick access to High; quick access to Strobe, quick access to Turbo 1 or Turbo 2; and…quick access to any other mode depending on the one in which the flashlight was turned OFF. 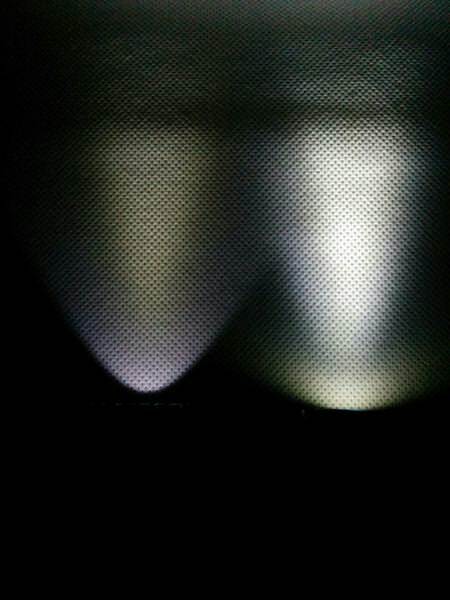 (*) Turbo 2 is active when the tactical Turbo + Strobe (Option 1) is activated and when we double click from High! 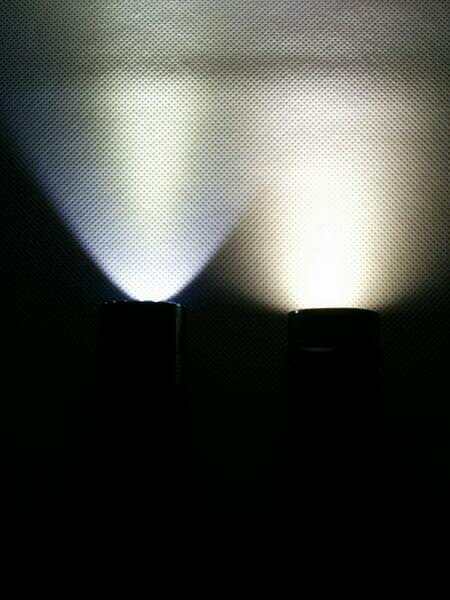 When shifting from Option 1 to Option 2, it is slightly noticeable the lumen drop on Turbo output levels. 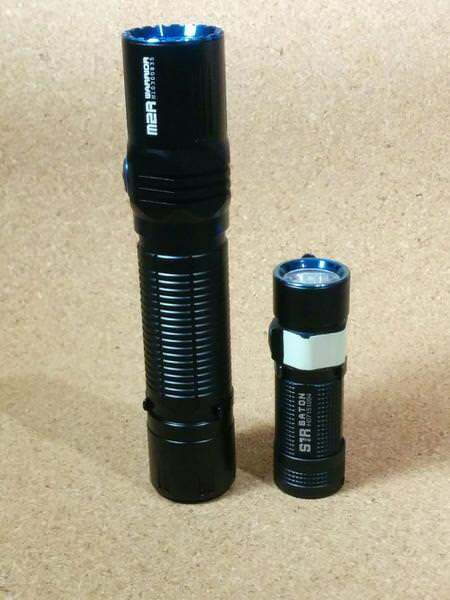 Time for some indoor and outdoor beamshots! Damn, this flashlight on Turbo is a beast! 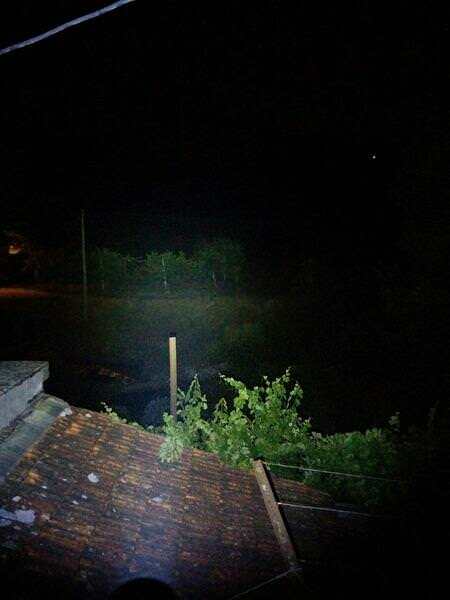 I didn’t had the possibility to take many pictures in different distances, but I guess you’ll see it easily reaches a great distance, even not being a thrower! 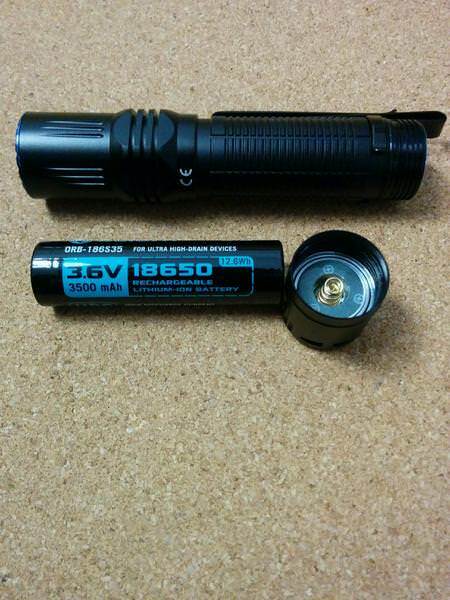 Powerhouse in a relatively small flashlight! 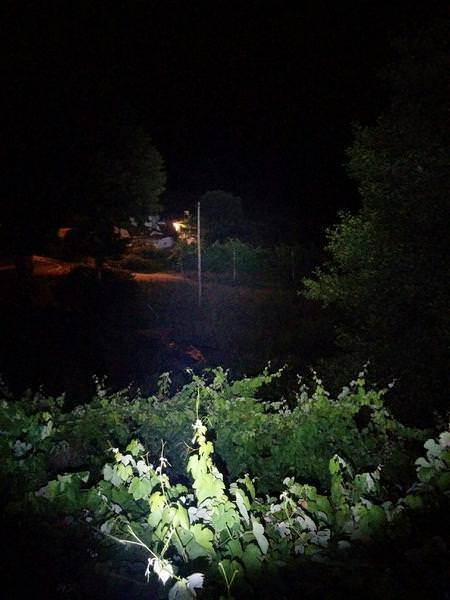 These are some beamshots to show how the tint shift decreases with the higher outputs. It is not completely liner, but I guess that you will be able to see that the “shifting” pattern is different the higher the output is! 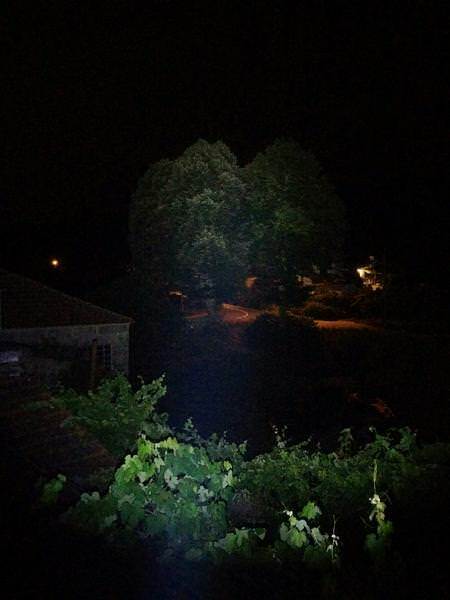 These photos were taken in total dark room @ 1.5m away from the wall . 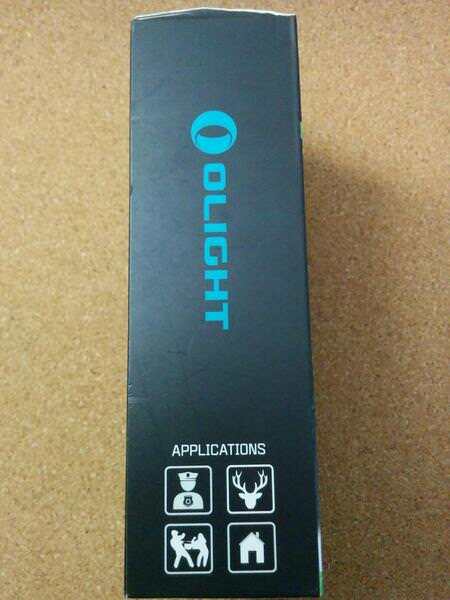 (Please note that the Olight has a lens with AR coating, while the Amutorch doesn’t. 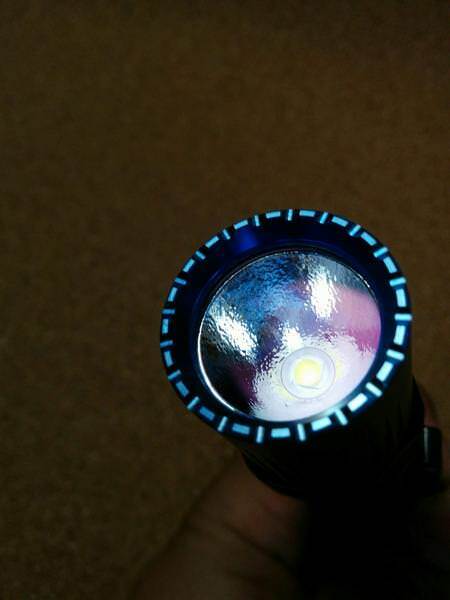 Both LEDs seem to have the same or similar tint but the lenses provoke slight shifts towards green on the Olight). Some indoor photos, from Moonlight to Turbo 2 (with double click after High)! Well, I normally do a balance of What I liked the most, What I think that can be improved, and Some “Neutral” aspects! 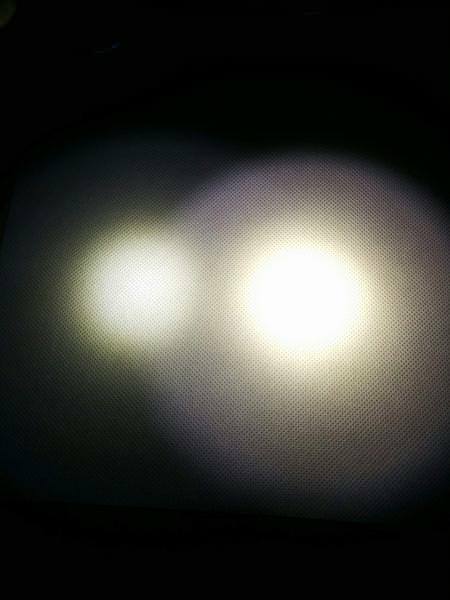 This time I will only mention 2 things that could be improved but that do not harm my “evaluation” of the flashlight nor its value. 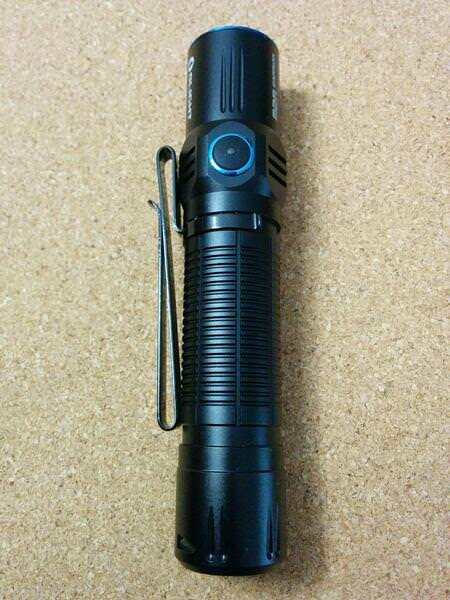 > The magnetic power: specially when used on the horizontal, it becomes “less powerful” because the flashlight gets “heavier”! 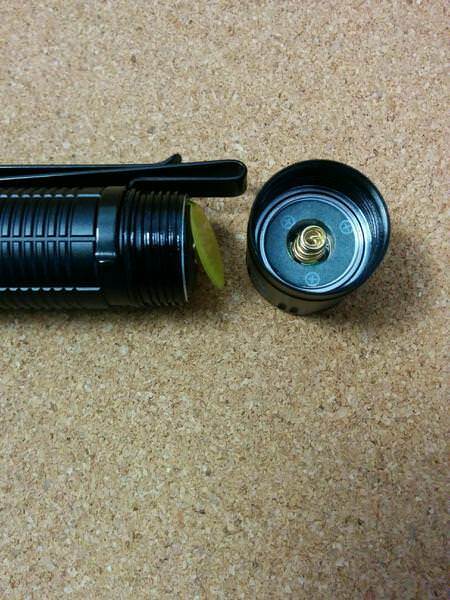 Well you know that it’s not this, but yeah, the length and weight of the flashlight makes it not hang on well when “sticked” in a fridge or other place! 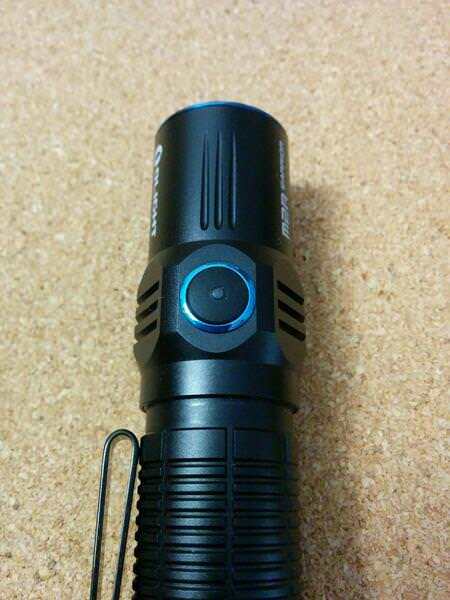 Other than this, this flashlight is very well made, powerful, easy to use, versatile, and I WANT IT IN 14500 and 18350 VERSION!!!! 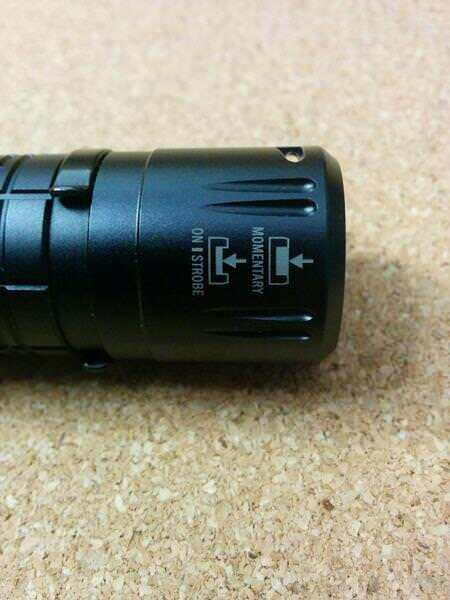 CAN YOU READ ME OLIGHT? Feel free to leave comments, questions! Other review threads are probably more complete than this one, but…a point of view is… a point of view!